9 Things You Should Not Miss When in Binondo - Federal Land, Inc. 9 Things You Should Not Miss When in Binondo - Federal Land, Inc.
Binondo is the oldest Chinatown in the world. A melting pot of the Filipino and Chinese, Binondo has a rich history and heritage dates as far back as the early years of Spanish colonialization. The food, landmarks, relics, customs and the thriving business scene are a signature of the community. From visiting old churches to enjoying food in hole-in-the-walls, here are the nine things you should not miss when visiting Binondo, Manila. Binondo was established in 1594 as a settlement for Chinese immigrants who converted to Catholicism. The first church built in Binondo is the Binondo Church founded by the Dominican friars 1596. Today, Binondo Church holds masses in Filipino, Hokkien, Mandarin and English to cater to the current Filipino and Chinese parishioners. Another old church in the area is the Santa Cruz Church. Founded by the Jesuit friars in 1619, Santa Cruz Church enshrines the statue of Our Lady of Pilar and served the increasing Chinese Catholics of the time. 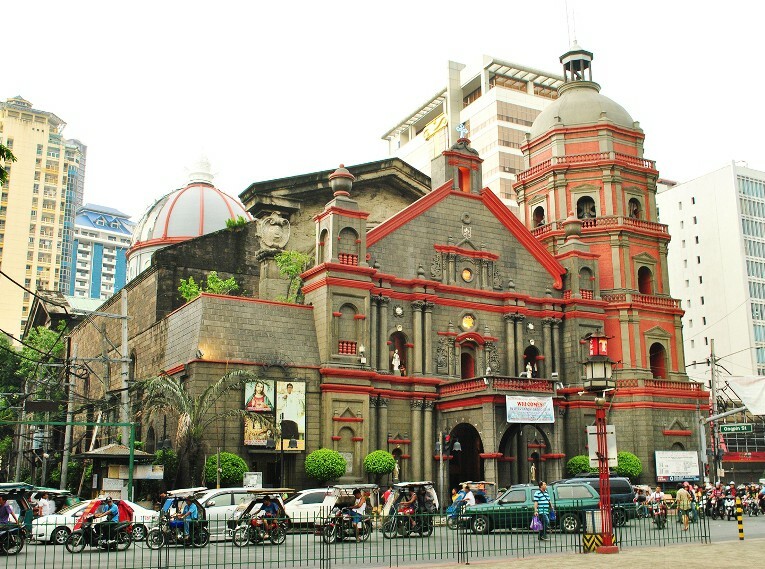 Binondo Church is also called the Minor Basilica of Saint Lorenzo Ruiz after St Lorenzo Ruiz, the first Filipino saint. St. Lorenzo Ruiz studied and trained in Binondo Church before he was sent as a missionary to Japan, where he was martyred for his faith. It might sound funny to eat a fried chicken when there are other Chinese delicacies around to try, but at Sincerity café, fried chicken is the must-try dish. Their home-style fried chicken is famous for its tender and juicy meat and oriental spice seasoning sold at an affordable price. Nothing says Chinatown like a big Buddhist temple. 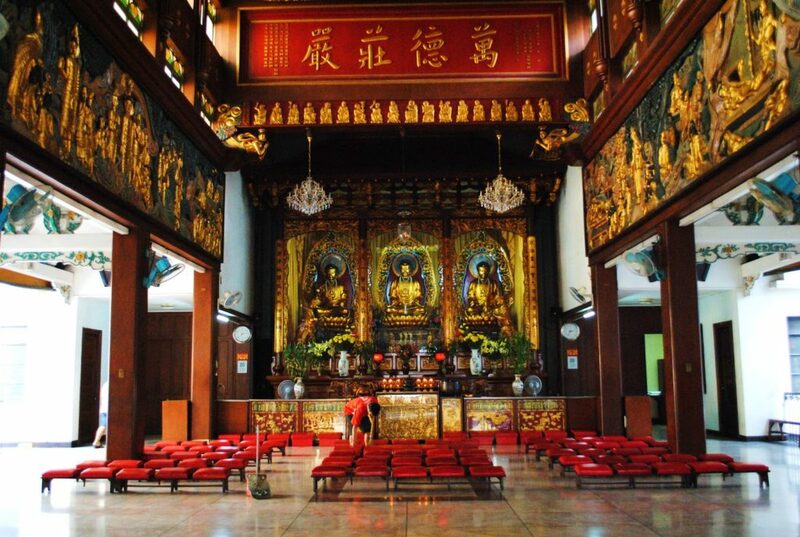 And in Binondo, there is the Seng Guan Temple, a beautiful Buddhist temple with a huge stupa, several meditation rooms, and various shrines like the Hall of Ten Thousand Buddhas. Another temple in Binondo is the Kuang Kong Temple located on the second floor of a building in Kipuja Street. Kuang Kong Temple is known for its unusual fortune telling. Instead of a fortune teller, they have red wooden half-moons. According to the Chinese ritual, you ask a Yes or No question then dropped the half-moons. If the two halves face each other, your request will be granted. If the two halves face opposite sides, the answer is No. These Chinese temples are open to the public, remember to be silent and respect the temple and those praying. When in Binondo, you should definitely not miss the famous Dong Bei Dumplings. 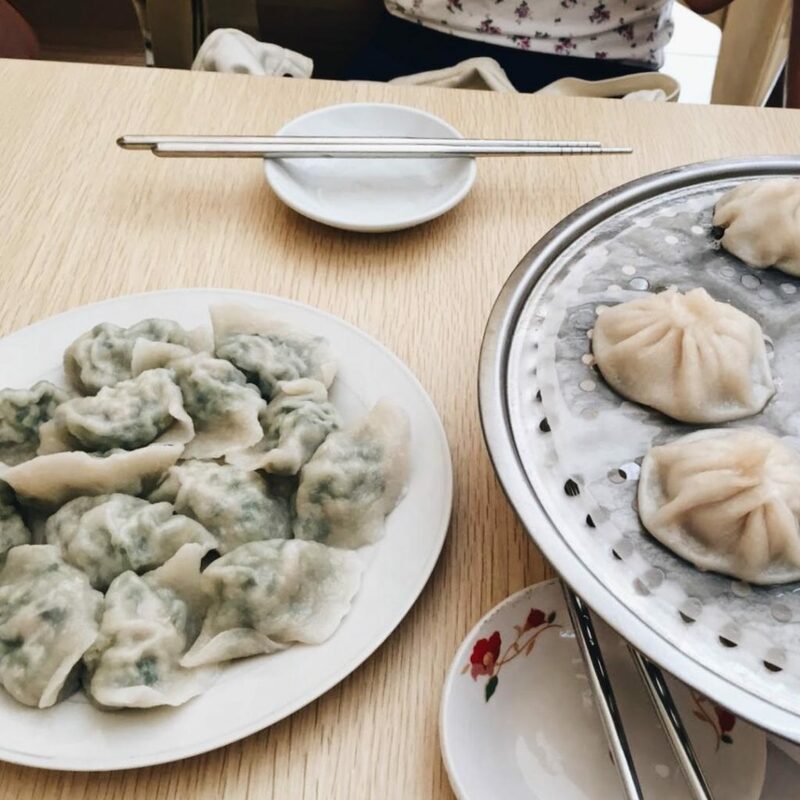 Though the place is small – around 10 to 15 square meters of workstation, kitchen and dining area – locals and tourists alike queue for a taste of authentic northern China dumplings. Dong Bei serves northern China style dumplings made fresh daily and rolled right in front of you. The dumpling wrapper is light, the fillings are juicy and the soy sauce is flavorful. A visit to Binondo is not complete without taking some Chinese goodies home. For your fill of hopia and tikoy, go to Eng Bee Tin Bakery. 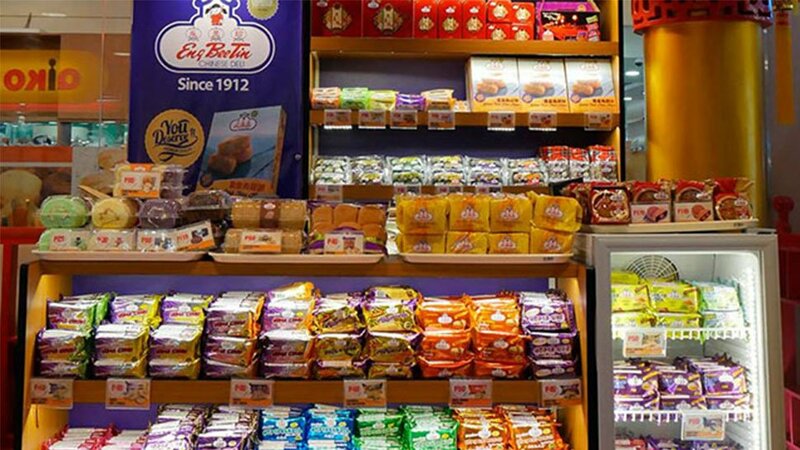 They have a wide array of hopia and tikoy such as Hopia Mochaccino, Ube Langka Hopia, Golden Pork Floss Hopia, Tikoy Sweet Corn, Tikoy Butterscotch, and Tikoy Matcha. With a rich history and heritage, Binondo boasts not only authentic Chinese cuisine and customs but also ancient churches and cultural customs. 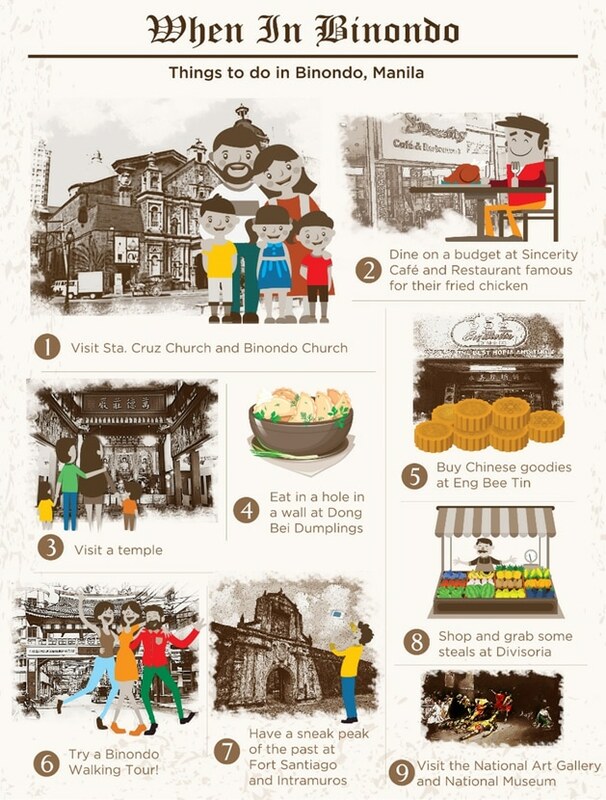 When visiting Binondo for your next food crawl, incorporate a cultural aspect to it by adding a visit to the beautiful old churches, Buddhist temples, town plazas and museum. You will learn the history of the Chinese in the country, the Spanish government, and the brief British occupation. The best time to visit is on Chinese New Year. Binondo streets are alive with Chinese lanterns, lion dances and special treats. Across the river from Binondo is the walled city of Intramuros. Intramuros is the oldest district in Manila founded by the Spaniards to be the seat of government and political power in the Philippines. 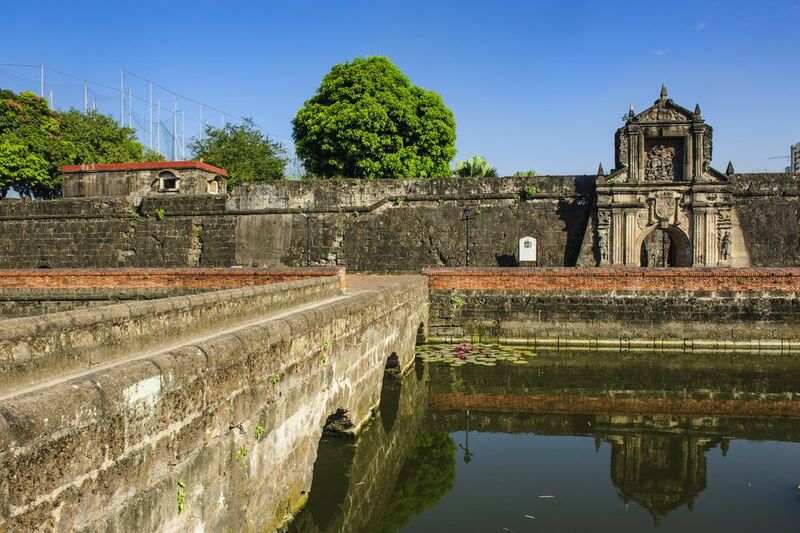 A trip to Intramuros will introduce you to the 400-year-old churches, San Agustin Church and Manila Cathedral; historical museums Bahay Tsinoy and Casa Manila; and military forts Fort Santiago, Baluarte de Dilao and Reducto de San Pedro; and Jose Rizal’s prison cell turned museum, Rizal Shrine. Divisoria was established in the early Spanish colonial era by Chinese traders who were prohibited to live and do business inside Intramuros. The ethnic Chinese then set up shop in Binondo that became a thriving commercial hub. Today, Divisoria is regarded as a shopping mecca for cheap goods and services including fruits, vegetables, processed food, furniture, car parts, toys, clothes, shoes, tailoring services, key duplication, and fortune telling among others. 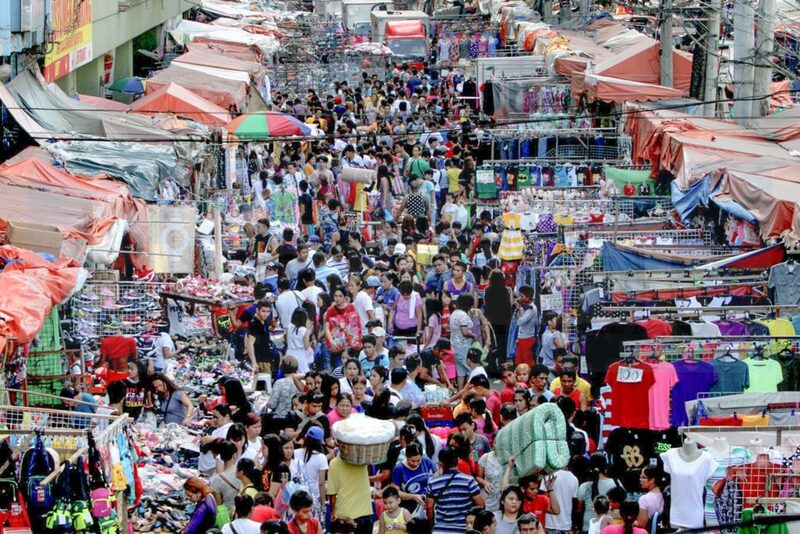 Haggle is the name of the game in Divisoria. Though items are sold cheap, you can still negotiate the price, especially when you buy in bulk. However, respect the vendor when he/she says its “fixed price”. To complete your Binondo Walk Through the Past, do not forget to visit the National Museum of the Philippines. The National Museum of the Philippines houses the treasures of history such as relics recovered by archeologists, dioramas depicting the revolution, and the masterpieces of Filipino artists like Juan Luna, Fernando Amorsolo, Felix Resurreccion Hidalgo, Vicente Manansala, and many more. Admission to the National Museum is free. However, for the ultimate museum experience, book a guided tour in advance. A tour guide will explain the intricacies of the artwork, the intentions of the artist, and its significance in history. Want to live amidst the rich culture and heritage? 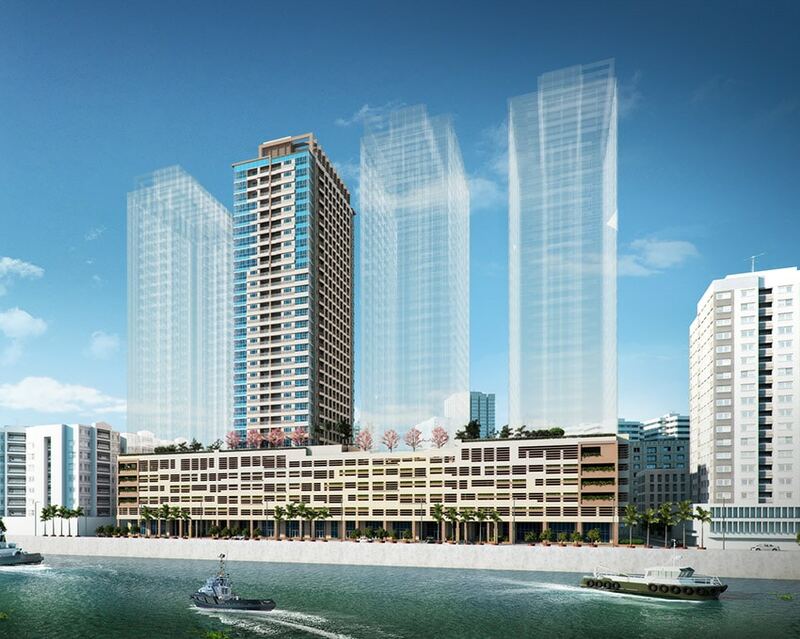 Four Season Riviera- Peony Tower is opening pre-selling condominiums for sale. Designed to bring good feng shui to its residents, Four Season Riviera is a riverfront home that offers generous living space perfect for families, retirees, professionals, business owners and foreign immigrants looking to assimilate into the thriving Filipino-Chinese community in Binondo. Federal Land Inc., also offers condominium units for sale in Makati; BGC (Fort), Taguig; Binondo and Paco, Manila; Entertainment City, Pasay; Greenhills, San Juan; Quezon City; Marikina; Cebu as well as in General Trias, Cavite. 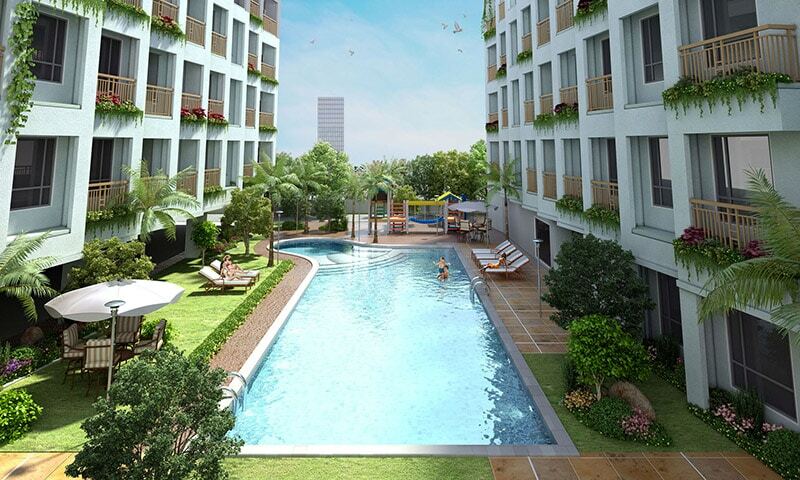 For lease to own plan details or pre-selling reservations, email us at digital.mktg@federalland.ph.